In case you haven’t been counting down the days, the release of Avengers: Endgame is right around the corner. 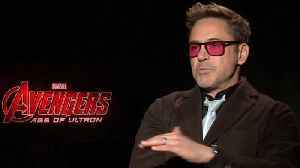 To celebrate, LEGO has kicked off its latest promotion, which is giving Marvel fans an..
Avengers: Endgame - Robert Downey Jr. aka Iron Man is the only Avenger who has read the entire script! Russo brothers revealed in an interview that Robert Downey Jr was the only actor to read the full script of Avengers: End Game. As we await the arrival of “Endgame”, let's discuss the ultimate superhero bromance between Captain America and Iron Man. 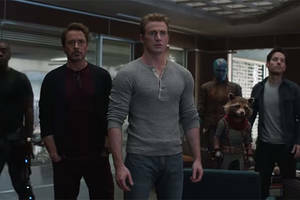 This video, "Avengers Endgame: The Saga of Tony Stark and Steve Rogers",.. This week, 'Heat Vision Breakdown' looks back at 11 years of the 'Avengers' and predicts the fate of the franchise's core heroes. 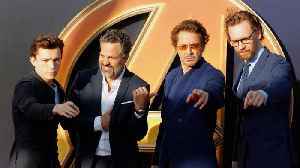 With Avengers: Endgame's debut officially less than a week away, the film's press tour is about to reach a fever pitch. But even as they promote one of the biggest blockbusters of this year, it looks.. 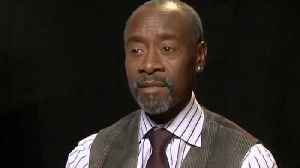 The cast and staff from the Marvels Cinematic Universe often take to social media to express themselves. 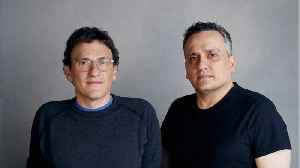 According to Comicbook.com, the Russo Brothers took to Twitter to remember fun times. The post..
Comicbook.com reports 'Shazam!' has now crossed the $100 million mark at the domestic box office after taking the top spot for the second week in a row. The DC Comics film was at $101.5 million on.. 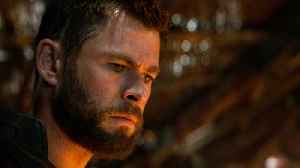 According to Comicbook.com, “Avengers: Endgame” is just over three hours long. This makes the film the longest running movie of the Marvel Cinematic Universe. 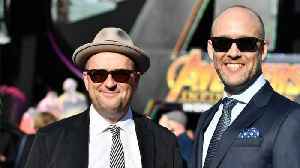 Writers Christopher Markus and Stephen..
To say that people are excited about Avengers: Endgame would be a bit of an understatement, as the upcoming chapter in the Marvel Cinematic Universe is set to be the culmination of the 21 films that..
Marvel fans are counting down the days until they can finally see Avengers: Endgame and the recent trailers and clips are only hyping that feeling up more. 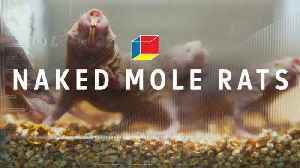 After the emotional ending of Avengers:..
Can mole rats solve autism, epilepsy, and schizophrenia? Naked mole rats look like walking steamed spring rolls (with tails). But, beneath their translucent skin, they have a 35 million year old superpower: they are super carbon dioxide breathers (trust us,..
“Avengers” assemble! 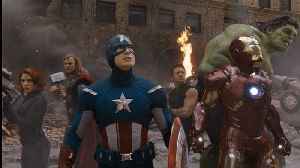 It was one of the biggest movie events to ever happen and it had fans wondering if the franchise could really pull off having all of the superheroes in one movie. 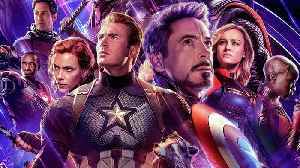 On the set of..
With Avengers: Endgame's inching closer to its release date, fans are coming up with some bizarre theories around the conclusion of Marvel franchise. 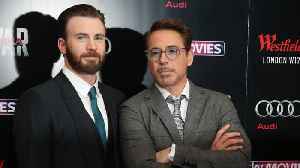 They’re an adorable pair (Picture: @robertdowneyjr/@tomholland2013) Avengers: Endgame stars Robert Downey Jr and Tom Holland have posted a throwback to ‘simpler times’ and it’s breaking our..
By Viraj Mahajan Ahead of Avengers: Endgame’s worldwide premiere, Robert Downey Jr. has talked about the movie’s ending. 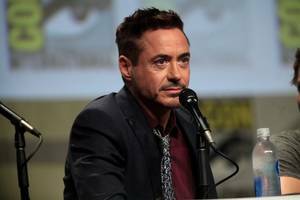 …read more Source:: IBTimes The post Robert Downey Jr. on.. 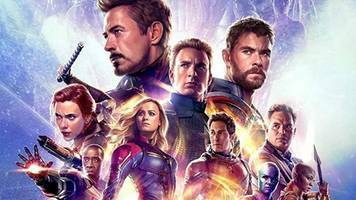 The final installment in the Third Wave of the Marvel Cinematic Universe draws near, as a ragtag group of heroes (including all of the original Avengers) has to muster their forces and strike..
Avengers: Endgame might be in theaters earlier than you understand it. And whilst spoilers from the general movie within the Infinity Saga have already been leaked, you may have optimistically..
Avengers: Endgame is only 10 days away. The last film in a massive 22-film extravanganza - Phase 3 of Marvel Cinematic Universe - comes to an end in 10 days. 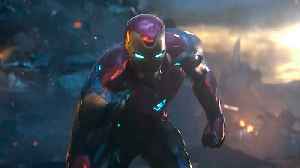 …read more Source:: Indian Express The post Avengers Endgame new clip: Black Widow finds a way to reach Thanos appeared first on Bollywood latest news. Sure, you're going to watch 'Avengers: Endgame." 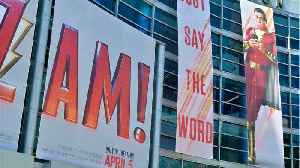 But check out all the must-see summer movies, from a new 'Lion King' to a 'Fast & Furious' spinoff. Lili Reinhart shared a behind-the-scenes pic from her new movie, Hustlers – Seventeen This is the performance that Jennifer Lopez is loving on World of Dance – TooFab Sarah Hyland shares hot..
Once in a while, an OOTW post belongs on the main page because the outfit – or in this case outfits, plural – is just too good. 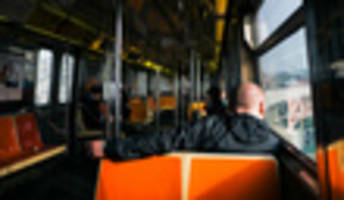 Two of them – one for me and one for you? 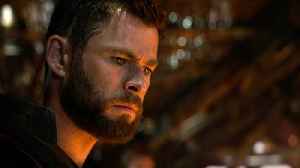 Here’s what I love..
Chris Hemsworth & Chris Evans Assemble in Shanghai for 'Avengers: Endgame'! Chris Hemsworth and Chris Evans flash a smile in their suits while attending the special fan event for their film Avengers: Endgame on Thursday (April 18) in Shanghai, China. 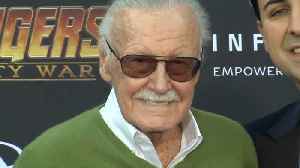 The co-stars were joined..
'Avengers: Endgame' Stars Team Up With Stand Up To Cancer for PSA - Watch! 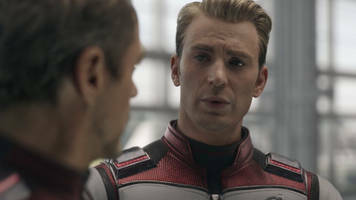 The stars of Avengers: Endgame and Mastercard are teaming up with Stand Up To Cancer (SU2C) for an important PSA, which officially launched on Thursday (April 18). The PSA features Avengers: Endgame..
Just a few weeks ago we found out that Tom Holland wasn’t allowed to have a script for Avengers: Endgame because he can’t keep secrets very well. 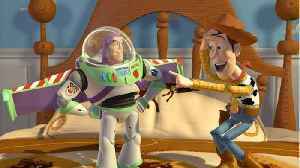 Now, the directors of the movie, Joe and Anthony.. The Avengers got together for a segment on The Late Show with Stephen Colbert where they answered questions about the movie and their characters. 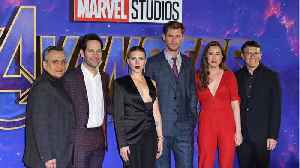 One of the questions asked was, “Who is the Avengers..
LOS ANGELES (AP) — About five years ago, Marvel Studios president Kevin Feige found himself on a retreat in Palm Springs plotting the future for the wild, experimental “cinematic universe” that..
Avengers including, Chris (Captain America), Brie Larson (Captain Marvel), Paul Rudd (Ant-Man), Karen Gillan (Nebula), and Danai Gurira (Okoye) are all in the video. 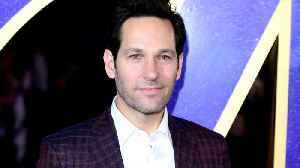 Survivors featured include Arnold,..
Much like Avengers: Endgame, Saturday Night Live is relying on Paul Rudd for closure. 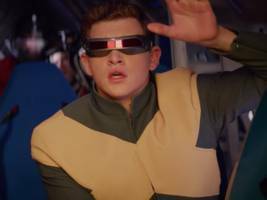 Rudd will return as host for the fourth time on May 18 for the Season 44 finale of the NBC sketch comedy..
· The first trailer for "Dark Phoenix" since the Disney-Fox merger debuted on Wednesday, and provides a glimpse at what the "X-Men" franchise could look like under Disney. 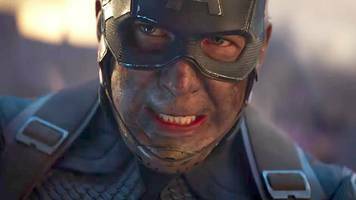 · The trailer has a..
To mark ten days until Avengers: Endgame—now nine—Marvel released another trailer, this one including clips from every movie leading up to Endgame. Yes, even Incredible Hulk, the Marvel movie.. 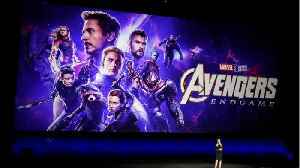 The directors of "Avengers: Endgame" are begging fans not to spoil the highly anticipated superhero film after pirated footage reportedly leaked online. Because Jack Dorsey wants to ruin Twitter even more, check out today's end-of-day links: venture capitalists love Big Zodiac, White House officials nervous, 'Avengers' leaks, Olive Garden dates, hitman..
Avengers: Endgame, the final chapter in Marvel's Infinity Saga, hits theaters in less than two weeks. 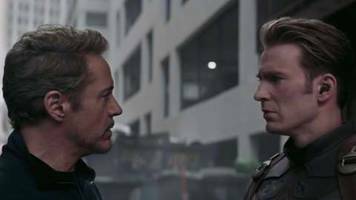 It's the culmination of 21 films, dozens of beloved character arcs, and countless hours of creative..
A new teaser for “Avengers: Endgame” takes us way back to the very beginning to when we first met the characters we’ve come to know and love. We see Robert Downey Jr.’s Tony Stark suit up.. 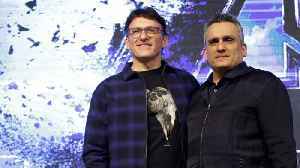 The Russo Brothers have released a statement about spoilers amid a major leak that has affected the Marvel universe. 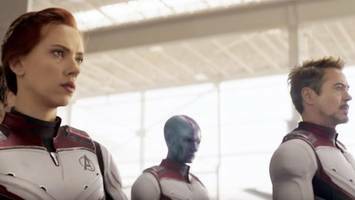 If you don’t know, the ending of Avengers: Endgame was leaked online earlier today..
As the AWIAFF 2019 festival draws near, Daniela Ruah (NCIS LA) and Dot-Marie Jones (GLEE) are announced as honorees, and ARGONAUT NEWS and Complete Production Group Hollywood are announced as..